Merry “Kicks-mas!” – Hola, Manito! There’s less than 10 days until Christmas, which means time is running out if you’re a last minute shopper. When it comes to buying gifts for me, you can NEVER, EVER go wrong with a pair of sneakers! My taste ranges from Adidas to Giuseppe Zanotti to fit any sort of budget. For those of you who have fellow femme sneaker lovers like me on you’re shopping list, or if you’re out there secretly trying to figure out what to get me, turn your Christmas into “Kicks-mas” and cop your special lady a pair of sneakers. Check out what 10 sneakers I picked on my wishlist this holiday! Vans are an instant go to for me; super cute, casual and easy to pair with just about anything. The glitter textile can add some sparkle to a holiday party and are good way to make sneakers look feminine and fashionable. Rose gold is also a trendy accent color for the holiday season. Another metallic sneaker that’s perfect for the holiday season! These are flashy, classy, and arguably some of the most comfortable, casual sneakers ever. 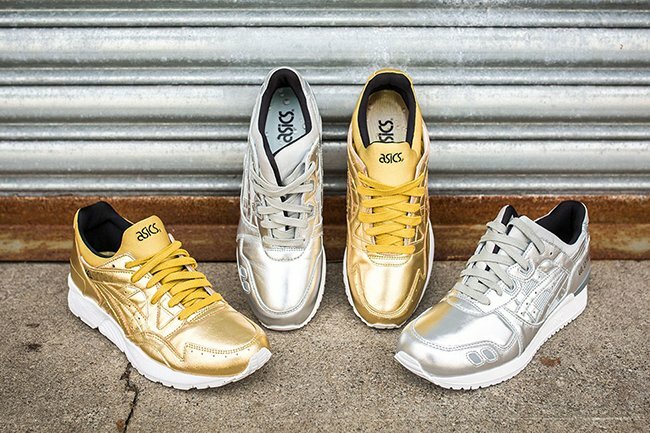 The Gel Lyte 3’s come in Silver and are a personal favorite of mine, while the Gel Lyte 5’s are in Gold. 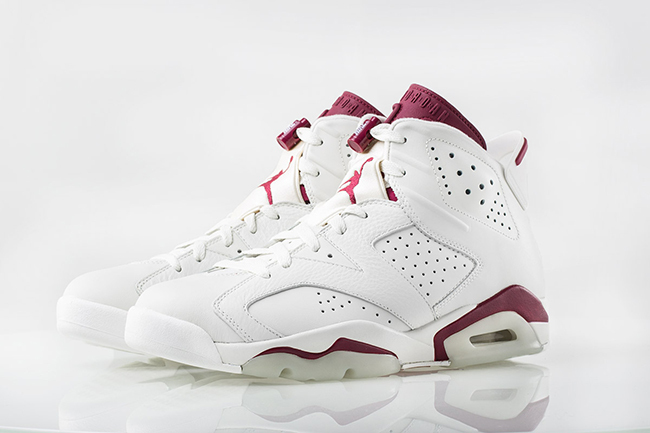 Jordan’s are typically on the top of every sneakerheads wishlist during the holidays. Jordan drops some of the hottest releases around Christmas time, including the yearly “Retro 11” releases, and these Retro 6’s are no exception. This is the first time this sneaker has been retro’ed and has the original Nike branding on them which will make your lady sneaker lover swoon. I’m surprised to say, unlike most holiday releases these are not sold out and are still up for grabs at major retailers. Take advantage of a drop like this before it’s too late. I absolutely love Rihanna’s Puma line. I love her streetwear looks and she captured it by putting her spin on her creepers. She combined classic Puma suede and gave it a women’s edge. Unfortunately these are sold out on the Puma website but could be available for a higher re-sale price on eBay, Sole Collector, and Kixify. The assorted colorways are very stylish for the winter season and would be a useful pickup for the sneakerhead in your life. Hopefully, they restock soon. Sadly, I missed out on the AF1 “Wheat” and the AF1 “Flax” releases, however Nike recently released a similar Air Force 1 High with the “Tawny” colorway. I’m a sucker for gumsole sneakers and the neutral color palete on this sneaker would pair perfect with dark denim jeans. Although, I’d prefer this sneaker in the “Wheat” or “Flax,” those are sold out in major retailers but can probably be found for a higher price in lowkey sneaker boutiques. I’ll keep my out for the other 2, but if I can’t find them, these are a great replacement. Giuseppe’s are quality all the way: hand crafted in Italy, premium leather, and have their own signature styles. I’d love to get my hands on a pair of these one day, when they can fit my budget. The python print is an iconic Giuseppe feature for their sneakers and is timeless. I particularly favor the low top over the high tops in Giueseppe Zanotti sneakers and think these would be a versatile way to make a $600 pair of sneakers worth every cent. One of Nike’s trendiest sneakers at the moment, Huaraches are a good buy for the women in your life. They come in every color and flavor imaginable. Although I’ve copped a few pairs of Huaraches since they made a retail comeback in 2014, these are a hot favorite and trendy pick for women looking for a sensible sneaker this season. They’re elite to say the least, and especially comfortable. These are perfect to throw on with a sweatsuit to “Netflix and Chill,” run a few errands, or as a gym sneaker for my ladies with fitness goals in 2016. Sk8 Hi Vans are classic and this style is a cute way to combine moccasins with sneakers. This sneaker comes with a choice of 4 colors: Pink, White, Tan, and Black. The fringe detail also aligns with the Boho Chic trend for Fall/Winter. This could be a cute alternative to a fall bootie and would look awesome to skateboard in. In case you missed out on the Jordan Retro 11 release of the “72-10” last week, these Jordans would make a nice replacement for your female sneakerhead. Making their first debut since 2003, these 8s are getting a slight makeover and releasing the last Saturday before Christmas, so don’t sleep! Retro 8s are one of my favorite retro Jordan’s and would look amazing paired with a great all-black outfit. What did you have in mind for the sneaker lover in your life? Any suggestions? Leave a comment below and spread the love. Happy Holidays!